Any Sport/Event Female Achievement Awards. This great award measures 230mm high. 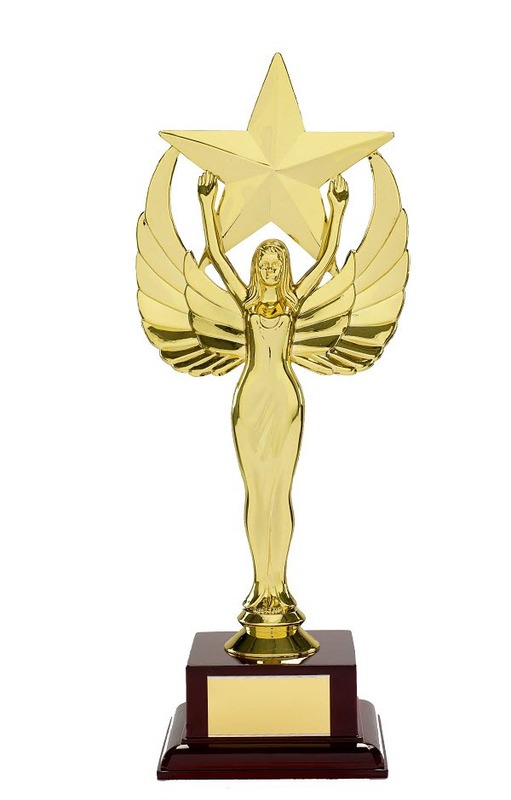 Solid gold plastic star achievement figure mounted onto a black weighted plastic base.